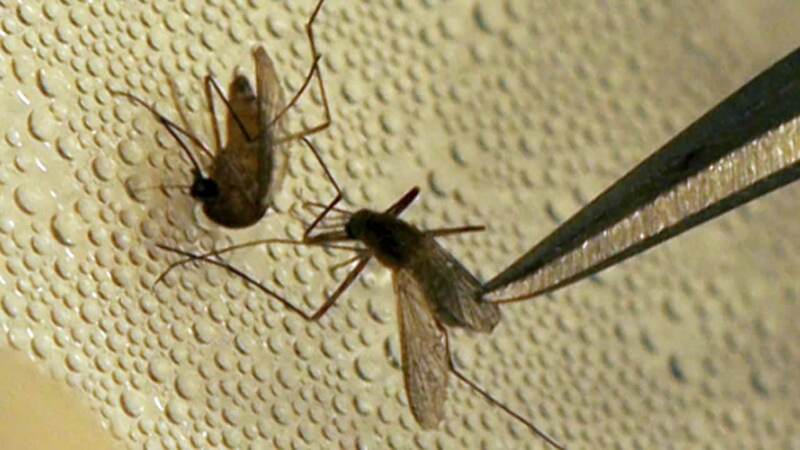 MILPITAS, Calif. -- A section of Milpitas east of the Great Mall shopping center is scheduled for treatment Wednesday night after mosquitoes recently found in the area tested positive for West Nile virus, according to the Santa Clara County Vector Control District. Ground fogging operations are set to begin at 11 p.m. and last for about three hours in an effort to prevent people from catching the virus, according to vector control district officials. The treatment zone is centered at South Park Victoria Drive and Yellowstone Avenue, impacting people with a 95035 ZIP code, vector control district officials said. The fogging will take place in an area roughly bordered by Los Pinos Avenue and Kennedy Drive to the north, Piedmont Road to the east, Landess Avenue to the south and South Milpitas and North Milpitas boulevards to the west, district officials said. A majority of the area south of East Calaveras Boulevard was treated on Aug. 31, according to district officials. "Continued discovery of West Nile virus-infected mosquitoes in this area indicates that risk of human infection may be elevated there," district assistant manager Russ Parman said in a statement. "However, all residents of the county should take precautions against mosquito bites," Parman said. Residents can stay inside while the treatment takes place and close their windows to decrease exposure to their family members or pets, district officials said. People can be infected with the virus through a mosquito bite, but don't experience the symptoms such as fever, headache or body aches. The public can prevent mosquito bites by draining out any standing water where the flies tend to lay their eggs and make sure their doors and windows are repaired, district officials said. People can also limit their time outdoors during the dawn and dusk hours when mosquitoes are most active, according to district officials. Residents were informed of the operations earlier this week through door hangars and notices on multiple online neighborhood groups, district officials said. Anyone with questions on the treatment can contact district staff by calling (800) 314-2427 between 8 a.m. and 4 p.m. today and Thursday or sending an email to vectorinfodeh.sccgov.org.